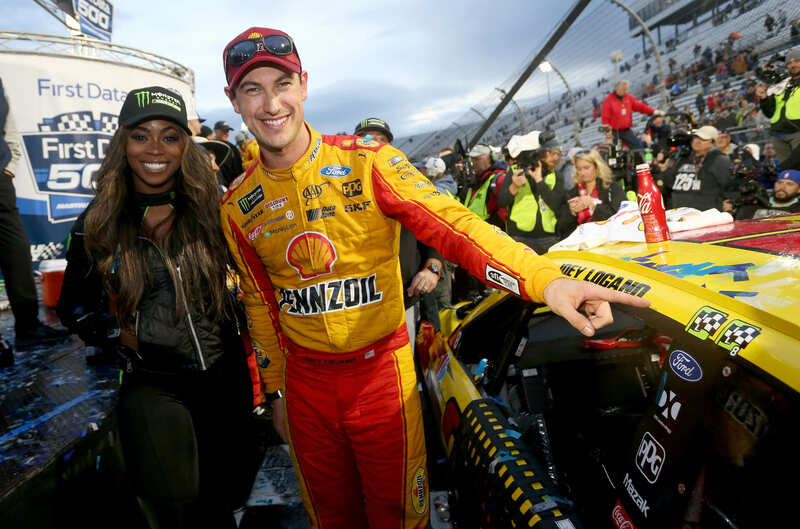 Martin Truex Jr and Joey Logano found themselves in a door to door battle for the win in the NASCAR Playoffs event at Martinsville Speedway. The short track delivered once again. With 8 laps to go, Truex was on the bumper of Logano for the race win. The two playoff contenders raced side by side, lap after lap. At this point, the contact was minimal between them. Logano was pinching Truex down on the exit. When Truex was on the bottom, they’d bang fenders a little off every corner. With 3 laps to go, Truex put the bumper to Logano in turn one and pushed him up the track. Truex stabbed the brake in tour four to make the car rotate and Logano drove back by on the outside. Logano got a bad exit off turn two with two laps to go. He then ran wide in turn three. Both of those things allowed Truex to get by with no contact. On the final lap, Truex led Logano by a car length into turn three. Logano drove it to Egypt, evaporated the gap and got to his bumper. As Truex slid up the track, Logano filled the inside lane. All the way to the finish line, they banged doors. Truex got sideways and Hamlin was able to sneak in and steal 2nd. Truex drove into the back of Logano as the field was heading to the pit area after the race. After the race, the crowd was on fire once again in Virginia. 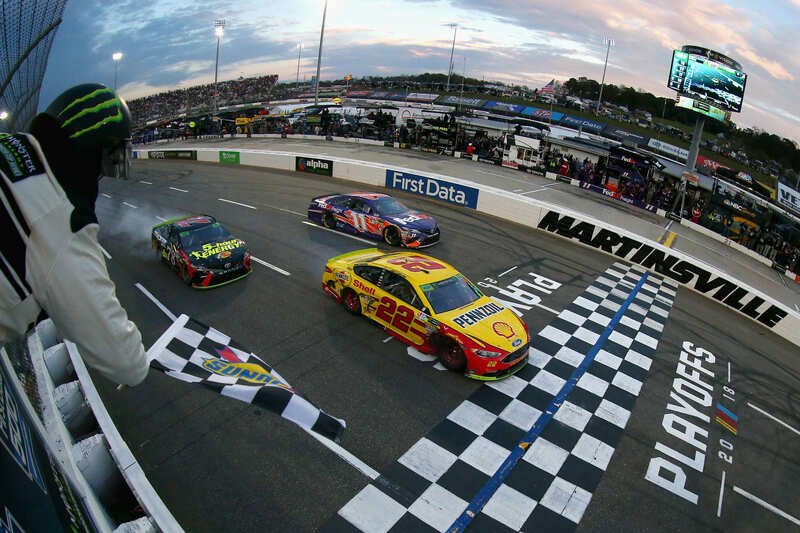 You can watch the video of the final laps from the race at Martinsville Speedway below. After the race, Truex stood by his car with his hands in the air to entice the crowd. That’s when a microphone approached. “He may have won the battle but he ain’t win the damn war,” Truex stated after climbing from his 3rd place race car at Martinsville Speedway. “I was next to him for six laps. I never knocked him out of the way. We were going to race hard for it in my book,” Truex continued. “That’s short track racing but what goes around comes around,” Truex concluded. What Joey Logano did is exactly what any racer would have done on the final corner of any short track in America. And there was nothing wrong with it. Truex still finished the race. The car was still in one piece. If the car was stuck in the catch fence, you’d have an argument that something was done wrong. Logano didn’t wreck him. He used contact on a short track. A track that happens to be all but impossible to pass without it. If you watch the race closely, most passes are situations were a driver just let the other go. In the final laps, that’s not going to happen. Truex also put the bumper to Logano on lap 495 and moved him up the track to take the bottom lane. That move didn’t work but it was essentially the same thing Logano did to him 5 laps later. Truex then slotted back behind Logano and he actually made the pass coming to the white flag with no contact at all. However, in turn three of the final lap, most racers would have done what Logano did. And the contact was minimal. Truex didn’t pound the wall. His back in just stepped out. They both crossed the final line straight. But,Truex is seeing red. And, that might cause big problems for Logano as he heads into the championship 4 race at Homestead-Miami Speedway. With the win, Logano is the only car locked into the Championship race. Truex is one of 7 cars eligible for the remain three positions. The defending NASCAR champion has two missions. His first is to win the championship for himself. The other is to prevent Joey Logano from winning it. But, Logano has other things to focus on. Given what Truex said, does that change the way you race him? “I didn’t crash him. We raced hard. 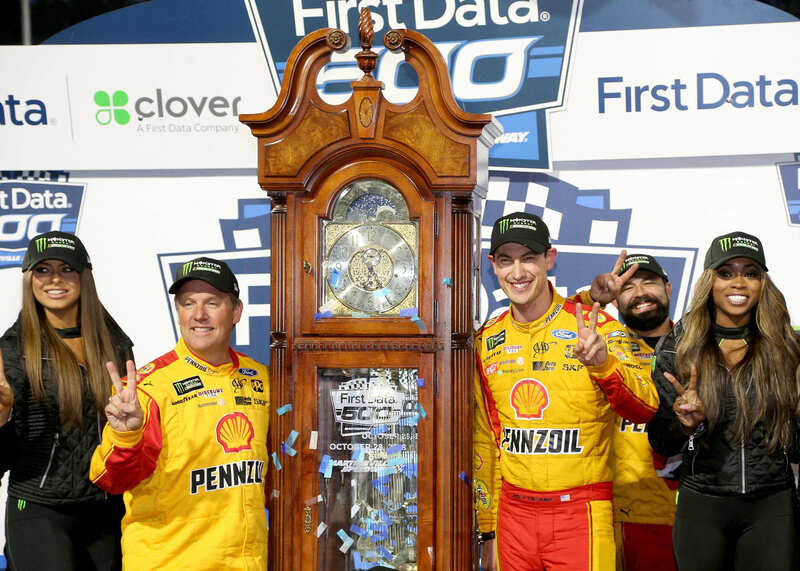 I moved him out of the way,” Joey Logano explained in the Martinsville Speedway media center. “My focus can’t be on that. It has to be on winning a championship. It has to be about Miami right now. There can’t be distractions,” Logano concluded. The 2018 NASCAR season has just three races remaining. The championship race will take place at Homestead-Miami Speedway on November 18th.